Bill Pollard is former Chairman and CEO of the ServiceMaster Company and a current member of Integra’s Board of Reference. During his leadership, ServiceMaster was recognized by Fortune magazine as the number one service company among the Fortune 500. ServiceMaster was also identified as a “star of the future” by the Wall Street Journal and recognized by the Financial Times as one of the most respected companies in the world. In 2004, Pollard received the Rev. Theodore M. Hesburgh Award for Business Ethics at Notre Dame. In Serving Two Masters? 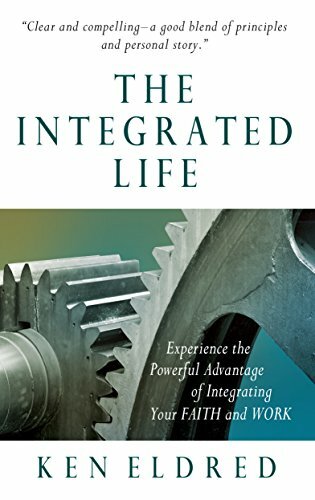 he draws upon his own spiritual and practical insights—and those of other business and thought leaders—to show readers that principles of faith and smart business practices are not mutually exclusive, but can unite to strengthen corporate culture and lead to extraordinary financial success. Pollard has worked in the business world long enough to know that money has the power to distract and tempt anyone away from God, family, friends, integrity and anything else they may stand for. He challenges his readers to not just “balance” or “juggle” issues of profit, business and faith, but to truly learn how to allow them to work together, resulting in success in all areas and a powerful sense of purpose and drive. While many believe that principles of faith and business will inevitably clash, in Serving Two Masters? 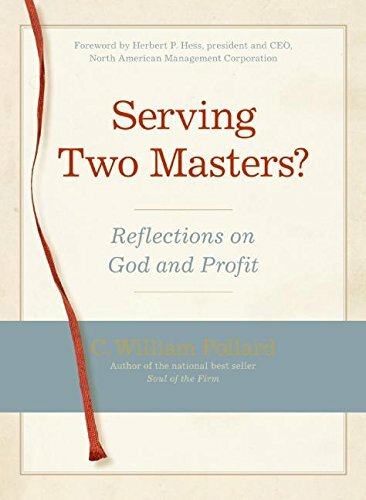 Pollard provides case studies and inspiring real-life stories of companies and individuals successfully pursuing profitable business endeavors while remaining faithful to glorify God in all that they do. 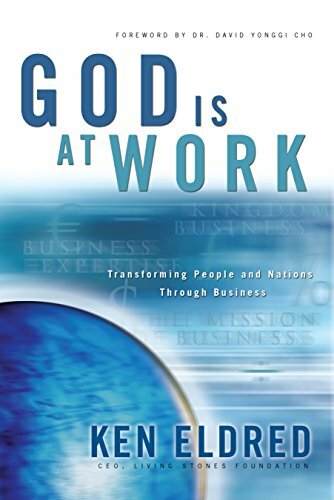 Successful entrepreneur (founder of overnight computer product supplier Inmac) and dedicated Christian Ken Eldred takes a hard look at how God is transforming people and nations through the emerging missions movement called “Kingdom business.” This book provides a comprehensive review of Kingdom business—what it is, how it’s done, and who’s doing it well. Eldred’s personal experience, as well as other Kingdom business efforts around the world, highlight this integrated missions movement, a unique combination of missions, successful business practices and economic development. What if we could resolve the exhausting struggle between work, family, and spiritual life? What if we recognized a deep connection between faith and business? What if biblical values weren't roadblocks but actually the source of successful business? What if the real goal of business were more noble than maximizing profit? What if we could see our everyday work as having spiritual value? What if we could approach it as ministry? What if it were our calling, a calling as high as that of a pastor or missionary? What if God cared deeply about our work and wanted to be involved? And what if we could even partner with him in our business?